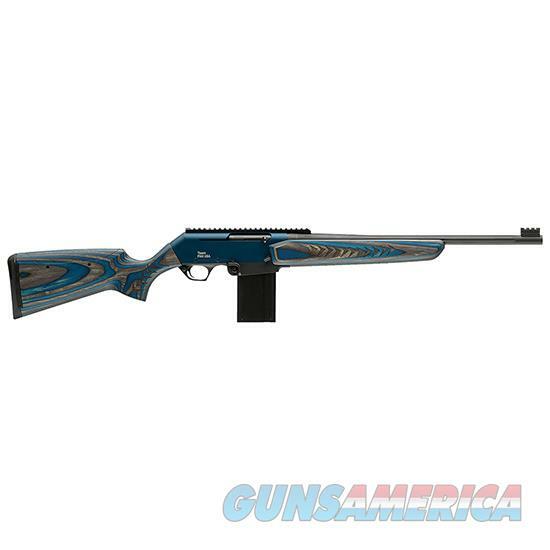 Description: Action: Semi Auto - Caliber: .308 Win - Capacity: 10 - Finish: Black - Stock: Blue/Grey Laminated - Barrel Length: 20 - Overall Length: 41.25 - Weight: 8.9 lb - The FNAR Competition is derived from the FNAR Standard. This FN autoloading rifle boasts an enhanced receiver and operating system designed to weather the requirements of competition while retaining accuracy shot after shot. The FNAR Competition provides the operator with a highly ergonomic platform a bolt-action level of accuracy and outstanding reliability. Its cold hammer-forged barrel is chrome-lined for ease of cleaning and extended service life.